You can get Refresh 3.5 to work as a VPC...but I'm going to show you a neat way to get Refresh 4 running as a dual bootable Dev environment. This HowTo assumes you have downloaded Refresh 4 and extracted it and you have AX5-W8R2-01.vhd and AX5-W8R2-01_DB.vhd available. 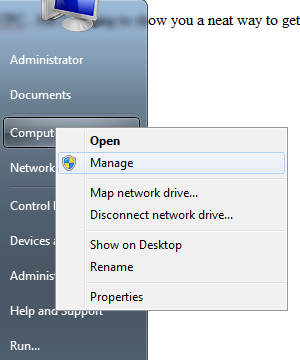 Start by right clicking on computer and clicking "manage". 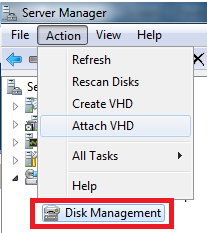 Go to Storage>Disk Management, then click the action menu at the top and click "Attach VHD". Attach both VHDs. You will need the AX5-W8R2-01_DB.vhd to be the F: drive, or once you mount it, you will need to copy over the files and file structure to the F: drive of your machine. This is because this SQL instance looks for its database on the F: drive. This will add a boot entry. To see your work, just run "msconfig" and click the boot tab. There you can set the default OS you'd like to boot, the wait time (I changed mine to 5 seconds), etc. Some drivers you might have to manually download and install specific to your machine. The only one I had to install was my graphics driver so that it would detect my two monitors. This is nice because Refresh 4 requires a good amount of horsepower to run (recommended min of 4GB memory, dual CPU), and you can devote your entire machine to it. Also dual monitors, etc feel nicer when it's not in a VPC window.